"Say it with flowers." 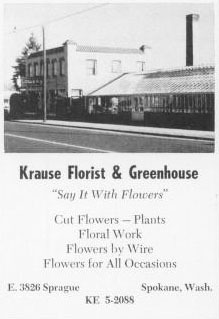 Cut flowers - plants, floral work, flowers by wire, flowers for all occasions. KE 5-2088.